BANFF, ALBERTA – Canada – Step out your front door and into nature with a private cabin rental at Johnston Canyon Resort. We’re located on the banks of the Johnston Canyon creek, adjacent to the one of the most beautiful waterfalls in Banff National Park, and near great hiking trails. Whether you’re looking for the right lodging for a romantic getaway, need a place to rest after a full day of whitewater rafting, or just want to get back to nature, our quaint log cabins are your perfect home away from home when visiting Banff. A 25-minute drive away from the towns of Banff and Lake Louise, we’re located just off the Bow Valley Parkway. We’re close enough to major sites, but far enough away from the bustle of tourist hot zones. We offer an on-site coffee shop, dining room, gift shop, outdoor patio, barbeque area and tennis court to help make your stay more enjoyable. Join us on your next Banff, Alberta vacation in the Canadian Rockies for an unforgettable stay. Just think of us an out of town Winnipeg Hotel! HINTON, ALBERTA – Canada – Trade in telephones and TVs for majestic mountain views at the Overlander Mountain Lodge in Hinton, Alberta. Our hotel, nestled at the edge of Jasper National Park, combines awe-inspiring views, comfortable lodging and gourmet dining for a memorable Canadian Rockies getaway. Trade in your cable connection for a connection with nature in one of our mountain or garden view rooms, cabin rooms, or pet-friendly kitchenettes — all furnished without phones or TVs. Have a larger group? Our 2-3 bedroom Vacation Rental Homes, complete with full kitchens, patios, barbecues, and loads of living space, are the perfect solution. Whether you’re looking for a Canadian Rockies hotel to use as a base for your whitewater rafting adventure, plan to fulfill your dream of mushing through the wilderness on a dogsled tour, or are ready to break out your binoculars for a wildlife discovery tour, Overlander Mountain Lodge is the right choice for accommodation in the Canadian Rockies. Visit us year-round for an authentic, relaxing Rocky Mountain retreat. JASPER, ALBERTA – Canada – Looking for the perfect hotel for your relaxing Canadian Rockies mountain getaway? Look no further than Sunwapta Falls Rocky Mountain Lodge in Jasper, Alberta. Located on the Icefields Parkway in the heart of Jasper National Park, our lodge is the ideal place to get away from it all, and get back to nature. Choosing to stay in our Jasper hotel means surrounding yourself by the scenic beauty of the Canadian Rockies, without foregoing the creature comforts of home. Relax in our newly renovated rooms, complete with satellite TV, free Wi-Fi, complimentary in-room tea and coffee, bar fridge, full private bath and duvets. Let us know, and we can provide you with microwaves, irons and hair dryers, too. We’re known for helping our guests experience the best of the Canadian Rockies, and provide expert advice on adventure sightseeing, wildlife, and a wide range of outdoor activities. Let us help you explore the best of Jasper National Park on your next Canadian Rockies vacation. 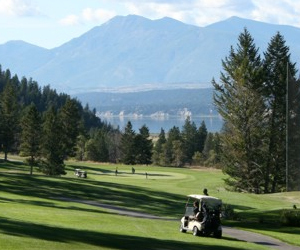 Jasper is chock-a-block with outdoor activities fun for the whole family. Join Jasper Vacations for a tour of the glaciers of Mt. Edith Cavell and the Columbia Icefields, or break out your binoculars for a wildlife tour. Looking for something a little more adventurous? Grab a paddle and try whitewater rafting with Jasper Rafting. Have a car? Let us help you tailor one of our three self-drive itineraries, taking you to to the best places to visit in Jasper National Park. BANFF, ALBERTA – Canada. King Edward Hotel is located in central Banff, Alberta, close to Canada House Gallery, t. Nearby attractions include Banff Park Museum. King Edward Hotel has tour/ticket assistance, and ski storage. Free Internet access is available in public areas. Guest parking is available for a surcharge. There are 21 guestrooms at King Edward Hotel. Bathrooms feature shower/tub combinations, complimentary toiletries, and hair dryers. In addition to complimentary wireless Internet access, guestrooms offer phones and free local calls. Televisions have cable channels. BANFF, ALBERTA – Canada. Located in Banff, Alberta, Tunnel Mountain Resort is in the historical district. 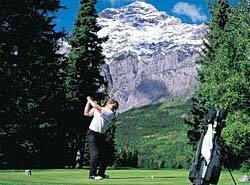 Nearby attractions include Banff National Park Information Centre and Banff Lake Louise Tourism Bureau. All found in the downtown area of Banff, Alberta. Recreational amenities include 2 spa tubs. Also located on site are an indoor pool, a fitness facility, and a sauna. Complimentary wireless and wired high-speed Internet access is available in public areas. Guest parking is complimentary. Business services and tour/ticket assistance are available. . A total renovation of this property was completed in 2008. BANFF, ALBERTA – Canada. Located in Banff, Hidden Ridge Resort is in a state/national park and close to Banff National Park Information Centre and Mount Norquay. Nearby points of interest include Banff Lake Louise Tourism Bureau and Banff Centre.Recreational amenities include a spa tub and a sauna. Complimentary wireless Internet access is available in public areas. Parking is free. Additional accommodations include barbecue grills, tour/ticket assistance, and ski storage. There are 107 guestrooms at Hidden Ridge Resort. Guestrooms have balconies. Beds come with pillowtop mattresses, signature bedding, and down comforters. Furnishings include fireplaces and sofa beds. At the 3.0-star property, accommodations include kitchens with full-sized refrigerators/freezers, microwaves, coffee/tea makers, and cookware/dishes/utensils. Bathrooms feature designer toiletries and hair dryers. In addition to free wireless Internet access, guestrooms offer free local calls. BANFF, ALBERTA – Canada. Red Carpet Inn is located in Banff, Alberta. Nearby points of interest include Banff Lake Louise Tourism Bureau and Canada House Gallery. A perfect setting for the Canadian Rockies backdrop. Recreational accommodations include a spa tub. Free wireless and wired high-speed Internet access is available in public areas. A free continental breakfast is served daily. Additional property accommodations include multilingual staff, tour/ticket assistance, and ski storage. BANFF, ALBERTA – Canada.Red Carpet Inn is located in Banff, close to Banff National Park Information Centre, Mount Norquay Ski Resort, and Upper Hot Springs. Nearby points of interest also include Banff Lake Louise Tourism Bureau and Canada House Gallery all in beautiful Banff, Alberta. Recreational accommodations include a spa tub. Complimentary wireless and wired high-speed Internet access is available in public areas. A complimentary continental breakfast is served daily. Additional property accommodations include multilingual staff, tour/ticket assistance, and ski storage. This is a smoke-free property. BANFF, ALBERTA – Canada. Banff Rocky Mountain Resort is located in Banff, close to Banff National Park Information Centre. Nearby points of interest also include Banff Centre and Canada House Gallery in beautiful Banff, Alberta. Dining options at Banff Rocky Mountain Resort include a restaurant and a bar/lounge. Room service is available during limited hours. Recreational amenities include an indoor pool, a health club, a spa tub, a sauna, and a children’s club. This 2.5-star property offers audio-visual equipment and business services. Complimentary wireless Internet access is available in public areas. This Banff property has event space consisting of banquet facilities and conference/meeting rooms. Wedding services, concierge services, and tour assistance are available. BANFF, ALBERTA – Canada. Irwin’s Mountain Inn is located in Banff, close to Banff National Park Information Centre, Mount Norquay Ski Resort, and Upper Hot Springs. Nearby points of interest also include Banff Lake Louise Tourism Bureau and Canada House Gallery. Dining options at Irwin’s Mountain Inn include a restaurant. Recreational amenities include a spa tub, a sauna, and a fitness facility. Complimentary wireless Internet access is available in public areas. Guest parking is complimentary. Additional property amenities include tour/ticket assistance, ski storage, and laundry facilities. This is a smoke-free property. Bathrooms feature shower/tub combinations and hair dryers. In addition to complimentary wireless Internet access, guestrooms offer phones, free local calls, and voice mail. 37-inch flat-panel televisions have cable channels. Air-conditioned rooms also include desks, coffee/tea makers, ceiling fans, and electronic/magnetic keys. Housekeeping is available. Cribs (infant beds) are available on request. Guestrooms are all non-smoking.